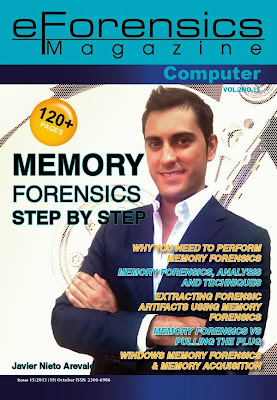 In this magazine release (which I am on the cover) I've written an article named "Step by step to work with your own memory dumps". 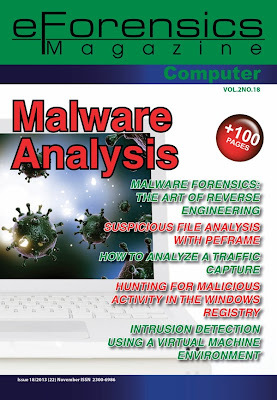 You can learn how to infect your computers in a lab environment in order to get a memory dump to analyze malware samples. I make a memory forensics studio of two trojans, Zeus and Stuxnet with Volatility. I give you the links to download these memory dumps... Also you will read a timeline of the last well known cyber attacks. 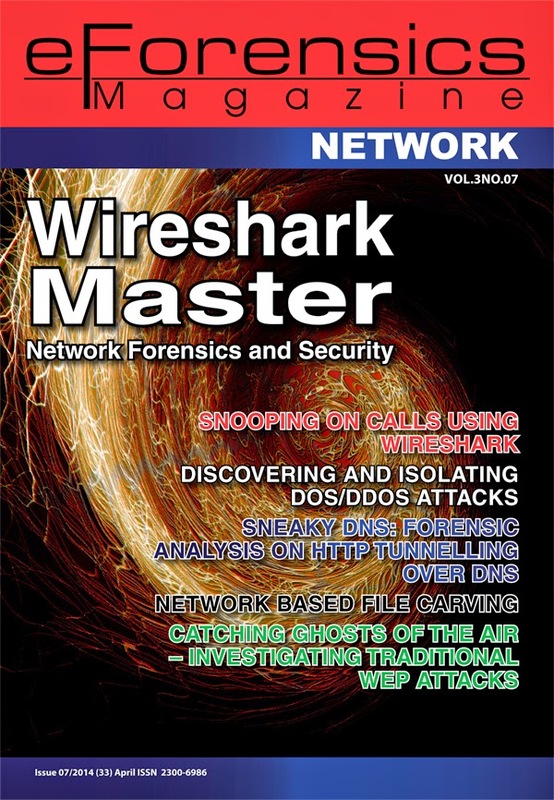 In this release you will find two real network forensics analysis using Wireshark. In both analysis, you will see how a user is infected just visiting a website and the computer begin to be part of botnet to send spam and click on web advertisements to make money. Step by step to work with your own memory dumps. How to analyze a traffic capture. 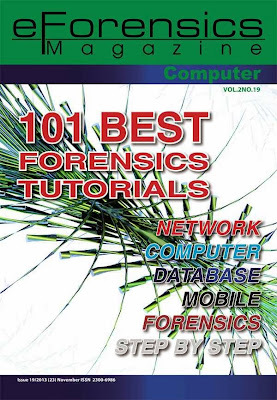 Is this magazine has been selected the 101 best forensics tutorials. My articles mentioned above has been published again in this release. 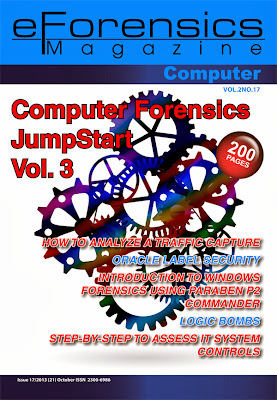 In my article you will find the techniques used in a network forensics analysis. I show you how to a "Drive by Donwload attack" takes advantage of a web browser vulnerability which infects the user computer and include it in a network Botnet. I show you how to work with Wireshark, NetworkMinner, Virustotal and how to create a map report with the callbacks to the command and control server.